My good friend and colleague Adrian Tierney-Jones has just informed me that Granville has just been bought by Creemore Springs which, in turn, is owned by Molson Coors. HOWEVER, it is apparent that the mega-brewer takes a very hands-off approach to Creemore and is planning to be similarly distant with Granville. They've got a track record with leaving White Shield intact in the UK, and the fact that they are investing in an existing craft brewery rather than trying to create a 'fake' craft brewing brand like some of its rivals, is something I find more genuine. I think it's got to be wait and see, they've proved they can do it both here and in Canada already, so here's hoping that it's only good news for this brewery and its fans. Thanks for the heads up ATJ! Thanks for Stephen Beaumont who originally told me the info. Isn't 'Blue moon' a fake craft beer from Coors? I'm not sure, it wasn't my experience that it was treated like that amongst the people I was with at the GABF, but that might have been because they had so much respect for the brewer Keith Villa, whom everyone seems to think is one of the most knowledgable and nice guys around - even if he did make peanut beer which didn't go down well with me! Is it just me, or do you feel like you need a map to all the small breweries being bought up by mega-brewers? The same thing has happened in the organic marketplace (cf http://www.certifiedorganic.bc.ca/rcbtoa/services/corporate-acquisitions.html). Just found you thanks to caskaleweek's twitter feed. 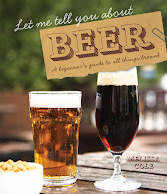 I'm always happy to find another chick in the beerblogosphere!! Celebrate Burn's Night with Whisky Beers! (Knee) Jerks on Both Sides?! Home Brew? Here's One for You!